This is a sponsored conversation shared by Wrapped Up N U on behalf of NestFresh.com. 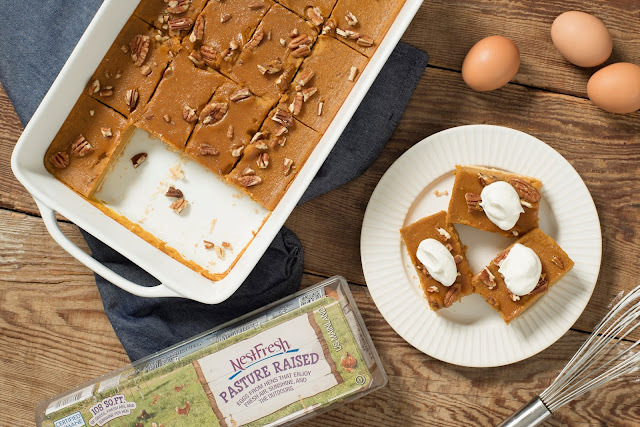 To give you a little help in the kitchen during the holidays, NestFresh Eggs has prepared six recipes that you, your family and your friends are bound to gobble-up. They include Savory Pizza Stuffed French Toast, Poached Egg Harvest Quinoa Bowls, Pumpkin Pecan Pie Bars, Gingerbread Loaf, Classic Croque Madame, and Smoky Sloppy Joes with Fried Eggs. Wishing you best dishes from our Egg-stra Special Holiday table to yours! And as always keep it Southern Y'all! A disclaimer and disclosure: *This is a sponsored blog; while the views expressed here were genuinely mine, consideration was paid to me by NestFresh to review this product. We are disclosing this in accordance with the Federal Trade Commission’s 16 CFR, Part 255: Guides Concerning the Use of Endorsements and Testimonials in Advertising. Smoky Sloppy Joes with Fried Eggs. The smoky sloppy joes with fried egg sounds good. I'd definitely try that! Oooh those Pumpkin Pecan Pie Bars sound absolutely AMAZING!!! YUM! I would love to try the Pumpkin Pecan Pie Bars. Smoky Sloppy Joes with Fried Eggs sounds so good! These are some amazing recipes! I think I would like to try them all but my family's favorite would probably be the Pumpkin Pecan Pie Bars. I'd like to try the Gingerbread Loaf. This time of year, I'd like to try the Gingerbread Loaf. That suits the season! That poached egg harvest sounds delicious. I would totally try that one! I would love to try the pizza stuffed French bread! The Savory Pizza Stuffed French Toast sounds so interesting!! Definitely something Id LOVE to try! The Pumpkin Pecan Bars look like a tasty one to try. the Gingerbread Loaf would be great to have on Christmas day. It would be perfect! Like to try the Savory Pizza Stuffed French Toast. Oooo the sloppy joe with fried egg! I would love to try the Savory Pizza Stuffed French Toast. I'd like to try the Smoky Sloppy Joes with Fried Eggs. The breakfast Quinoa sounds super yummy!! The Pumpkin Pecan Pie Bars look delicious. I want to try those. The pumpkin Pecan bars would be something I'd like to try! thank you! I Would Love To Try The Wrapped UP N U!!! Today, I'm craving pizza, so the Pizza Stuffed french Toast looks great! I want that. I would love to try the Pumpkin Pecan Pie Bars!! That Savory french toast looks AMAZING!! I would love to try the poached egg harvest. I'd like to try the gingerbread loaf. A big, warm slice would be great. I would also make the gingerbread loaf. I make pumpkin bread like this with 3 spices including ginger and it's SO moist! I do like the extra detail with the nut slivers. That Gingerbread loaf sounds seriously amazing!! I would love to try the gingerbread loaf! Id also try the Smoky Sloppy Joe with Fried eggs. We order something similar at a restaurant near us but has tots as the base. It's comfort food for sure! I keep coming back to those yummy Pumpkin Pecan Pie Bars! Those would be great for Christmas dessert! I want to try the Pumpkin Pecan Pie Bars recipe. Savory Pizza Stuffed French Toast sounds yummy. The smoky sloppy Joes with fried egg would be really good this morning. I'd like to try that. Smoky Sloppy Joes with Fried Eggs. Yummy. Savory Pizza Stuffed French Toast, yep that's the one that my family would really like when I make it. I'd love to try the Iced Gingerbread Loaf recipe! It looks so yummy! I would choose Smoky Sloppy Joes with Fried Eggs. I need gluten free so the Harvest Quinoa Bowls with Poached Eggs would be awesome and I just bought some quinoa for the first time in a couple of years. thanks! the Pumpkin Pecan Pie Bars sound wonderful! I like the Pumpkin Pecan Pie Bars. The Poached Egg Harvest Quinoa Bowl would be great for lunch. It looks good. Poached Egg Harvest Quinoa Bowls for breasfast time of day. I want to try that poached egg recipe! and the Pumpkin bars....oh who am I kidding, they all look good! The Gingerbread Loaf looks really good. this would make a great holiday breakfast. I am liking this one Savory Pizza Stuffed French Toast. I would love to try the Savory Pizza Stuffed French Toast. It sounds like a great combination of flavors! I would loved to the Poached Egg Harvest. I would make the Pumpkin Pecan Pie Bars, they sound so good. Pumpkin Pecan Pie Bars for me too! I'd love to try the pumpkin pecan pie bars. 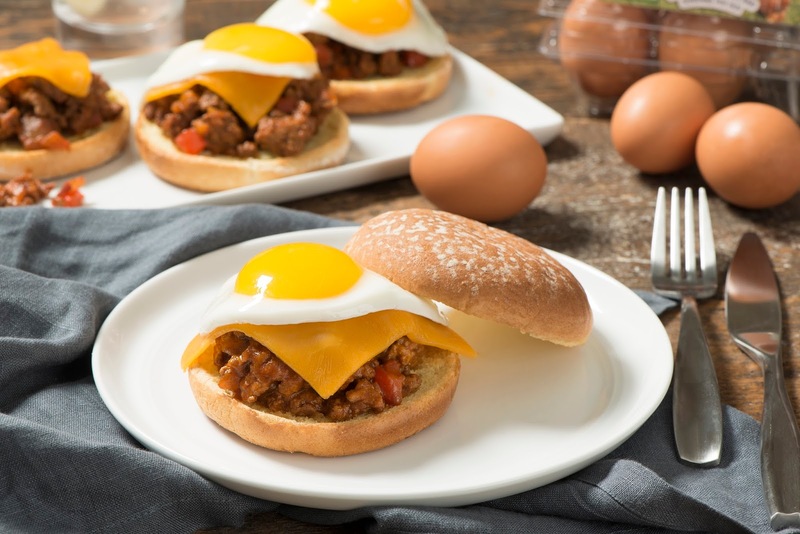 The Smoky Sloppy Joes with fried eggs sounds fabulous! I'd like to try the smoky sloppy Joes with fried egg. That looks great. The Smoky Sloppy Joes look delicious! I think I MUST make this. I bet that gingerbread loaf really tastes like Christmas. I love warm gingerbread, so I'd like to try it. Gingerbread Loaf sounds really good to me! Smoky Sloppy Joes with Fried Eggs is one I would love to try! I'd like the Pizza Stuffed French Toast today. Pizza anything sounds good. The pizza stuffed french toast looks amazing! All of these recipes look yummy. I would love the Poached Egg Harvest Quinoa Bowls. I am a big fan of quinoa and always looking for new ways to get it into meals. I'd love to try the stuffed pizza! YUM! The savory pizza stuffed french toast sounds very interesting. Savory Pizza-Stuffed French Toast would be great for lunch. Today, I'd love some of that warm gingerbread loaf, maybe with a little ice cream. I think the pumpkin pecan pie bars look amazing. I love pumpkin so this would be right up my alley. Poached Egg Harvest Quinoa Bowls would be good for breakfast! that Smoky Sloppy Joe with fried egg would be great today. It looks good. The savory pizza stuffed french toast sounds amazing. We make homemade pizza once a week and this looks lie a nice twist on that. Today would be great for that pizza stuffed French toast. It really looks good. the Sloppy Jo with the Fried egg would be great today. It looks pretty tasty. I'd love to try the Pumpkin Pecan Pie Bars. They sound so delicious. I would make the Classic Croque Madame. Savory Pizza Stuffed French Toast! That gingerbread loaf would be great with a little cinnamon butter! Yum. Pumpkin Pecan Pie Bars are calling my name. I want to try out the pizza-stuffed French toast. I would like to try their Smoky Sloppy Joes with Fried Eggs. Gingerbread Loaf is perfect for the holidays! The Sloppy Jo with fried egg looks good to me. That would be great for lunch. The classic croque madame looks pretty good, & I don't think I've ever tried that. 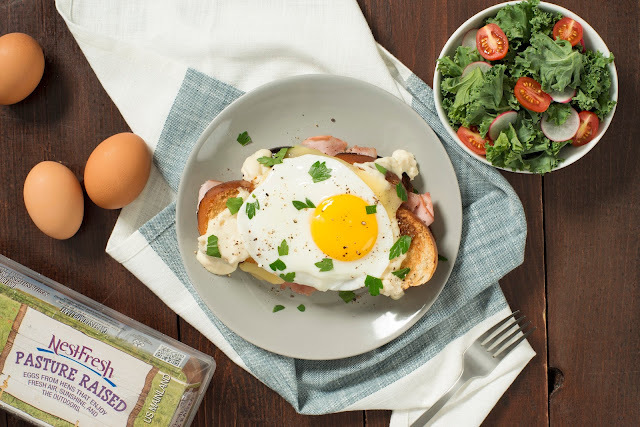 Classic Croque Madame has me intrigued. I think the Pumpkin Pecan Pie Bars sound great. 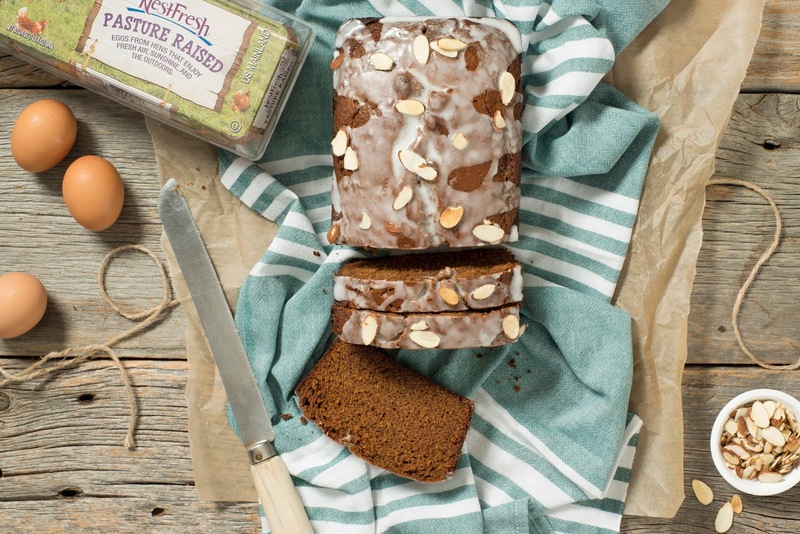 Gingerbread Loaf would be perfect to make this weekend! Oh, I'd like some of that gingerbread loaf, warm, with some cinnamon butter. That would be good. My mouth is watering for the Savory Pizza Stuffed French Toast! 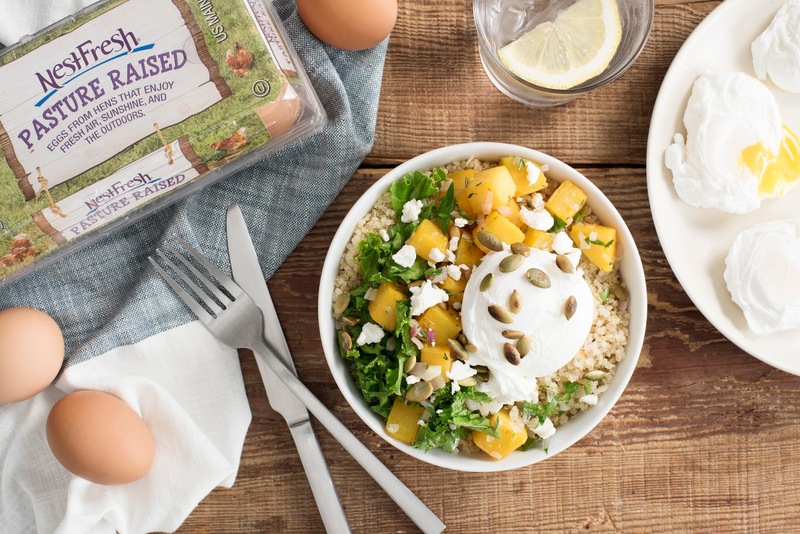 Poached Egg Harvest Quinoa Bowl looks delicious and healthy. That Sloppy Jo with fried egg would be great. And I'm hungry, too, lol. 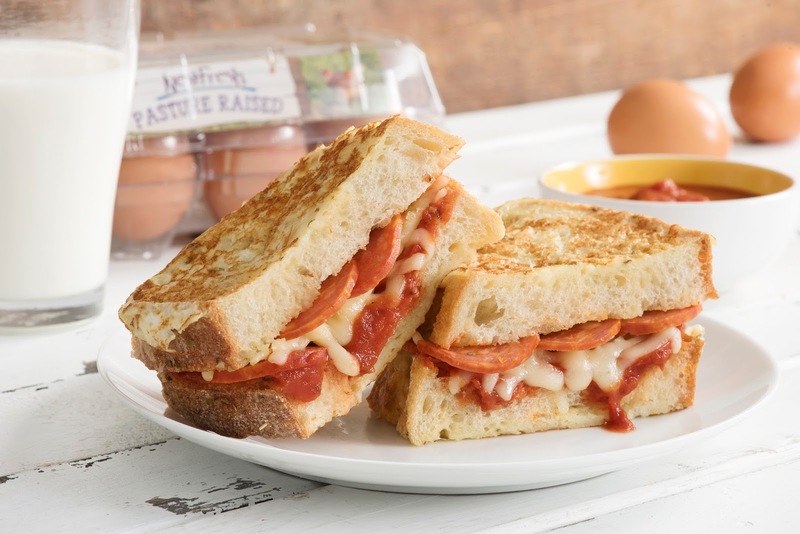 Savory Pizza Stuffed French Toast sounds really good to me! the pizza stuffed French toast would be great today. I've been craving pizza.